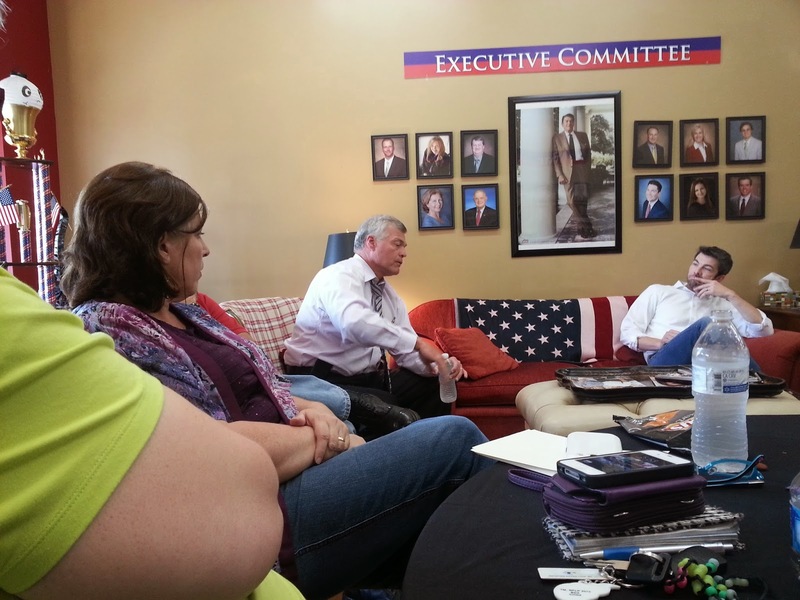 Put simply, the GOP Round table is a weekly discussion group that is open to the public. 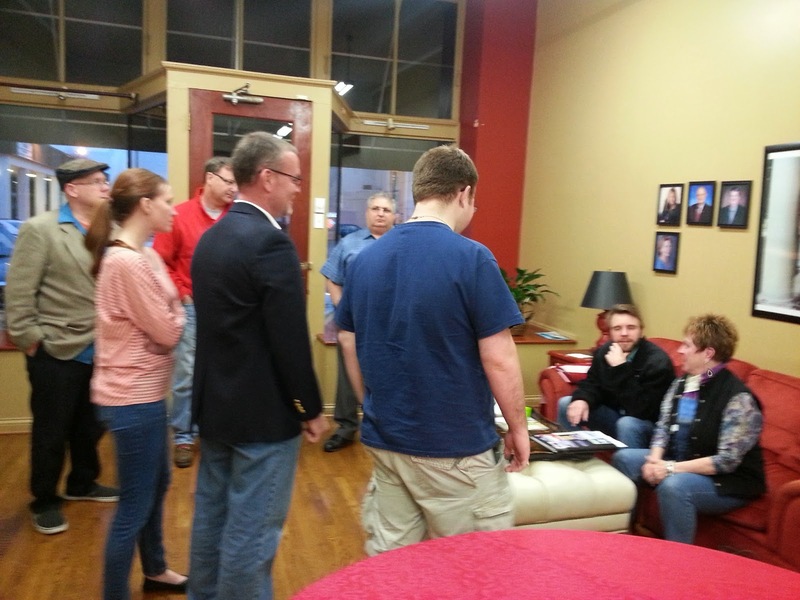 Every Friday at 5 pm, at the Rutherford County Republican Party headquarters at 111 E. Main St. engaged citizens come together to talk about a host of issues that concern local and national politics. The round table began in mid-2013 and has been going strong ever since. 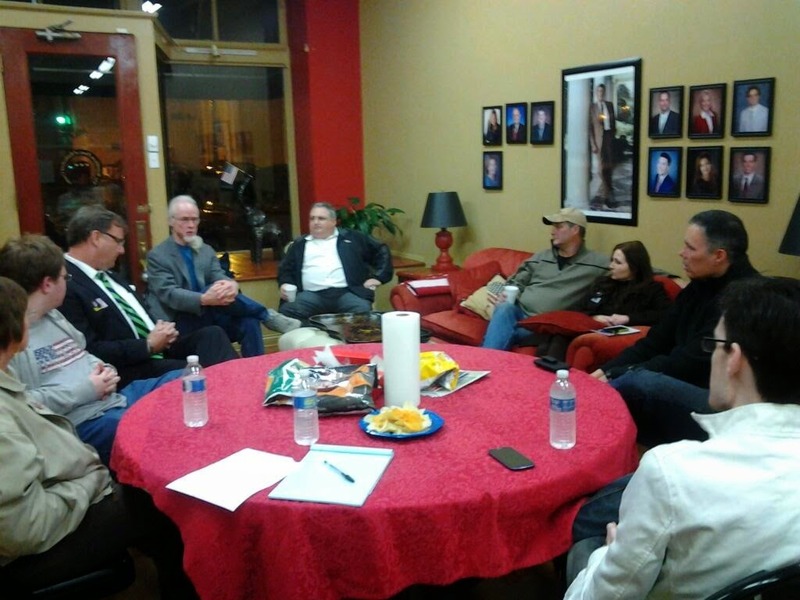 The host of each week's round table usually prepares several potential topics for discussion and then allows the free flow of ideas from the group. Sometimes we come up with real solutions and other times we simply talk about that week's major news stories. There have been three primary hosts, Jo Anne Skidmore, Andrew Anderson, and recently, your's truly, Jacob Bogle. We have also had several guest hosts. Within the context of the round table, participants are able to learn a great deal about local politics and can meet at least one current elected official or candidate for office. Over the months, by my count, there have been around three dozen elected officials and candidates appear at the round table, with four being nearly weekly attendants. 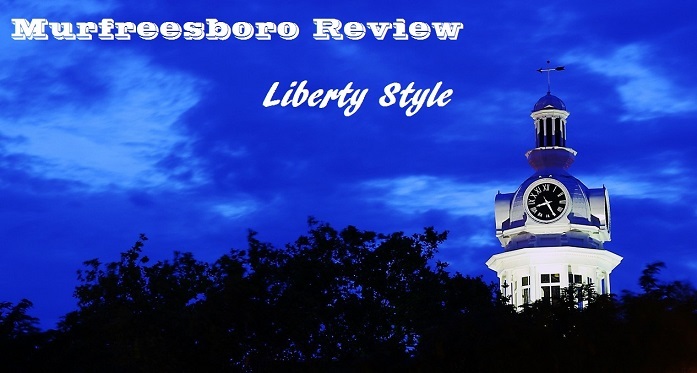 Beyond office holders, business owners, political activists, students, and everyday citizens regularly attend. Conversation can vary greatly week-to-week, and for that matter, minute-to-minute. We have had discussions on city and county budgets, problems of corruption, red-light cameras, the national debt, the war on terror, civil liberties, drug legalization, the healthcare industry, education and much more. Everyone's input is desired and everyone's views are respected, however, debates do happen and they've always been great fun. Over the course of the evening we can also end up talking about local history, personal and family stories, international affairs, and from time to time the host may bring historical artifacts or foreign currency to complement that evening's conversation. The round table usually ends at 7 pm, but people are free to come and go as they please. The round table is also a great opportunity to network with others, make new friends, and get plugged in to a number of different causes - political and otherwise. So, if you enjoy serious, and not-so serious, conversation with a group of great individuals please stop by one Friday. There are snacks, and while it is hosted by the county GOP, it is open to the public.